Sydney is located in the state of New South Wales. This is the largest and oldest city in Australia, the year of its foundation goes back to 1778. The population of suburban Sydney is at about 4.3 million. Only those living in the city center are nearly 146, 297 people. 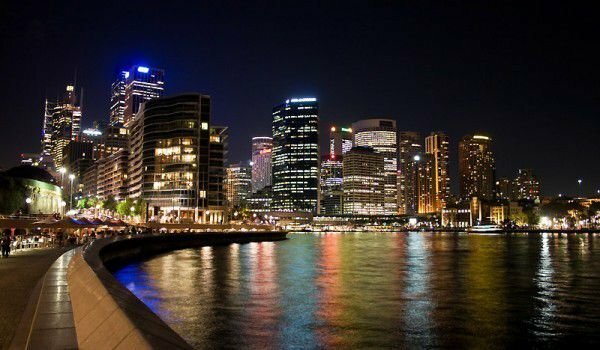 Sydney and its suburbs are considered the largest financial, transport, trade and cultural center in Australia as competition for these criteria makes it only slightly smaller than Melbourne. One of the symbols of Australia is the Opera house which is beautifully situated in Sydney and is something like a trademark for this Australian city. The extravagant building is only a small part of the beauty and diversity of this Australian city. Sydney ranks among the top positions of the most beautiful cities in the world. Largely this is due to its wonderful location - on the sea. If you want to fully enjoy the beautiful panorama of Sydney and its unique port then it is better to arrive in the Australian city on water. Sydney became especially popular after the Winter Olympics, held there in 2000. 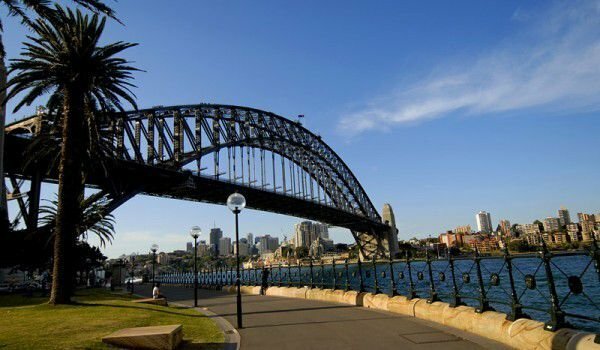 Globally recognized for its architectural masterpieces - the building of the bridge and opera in the city, are undoubtedly the emblems of the Australian city. The "Futuristic" building of the opera was inaugurated on October 20th, 1973, which immediately became a landmark for Sydney. The architect and Yort Utson was awarded the most prestigious award for architecture in the world. In June 2007 the building was listed as a UNESCO World Heritage Site, along with attractions such as the Egyptian pyramids and the complex Taj Mahal in India. First to set foot on the coast near present-day Sydney was, British Captain Lieutenant James Cook, who landed on there in 1770 and immediately faced the local Aboriginal tribes that inhabite the Australian continent. The city was named after the British Interior Minister Tomas Taunshend - Lord Sydney. The period 1830-1840 was a time of dynamic development. They started to build suburbs because many boarding the ships were from Ireland and Britain and travelers needed a new refuge and a place to start life anew. On July 20th, 1842 the City Council recognized the city and Sydney and it became the first city in Australia with its first Major - Charles H. Chambers. The Boom industry in Sydney there in 1851 was called the great Gold Rush. Sydney conditionally divided into two parts - north and south, which is separated from Port Jackson. Between the two coastal areas is related, through both the bridge and through the tunnel. Kay coast is quite a lively port area, as it is permanently occupied by other vessels - cruises, ferries, cargo ships, sea taxis and tourist boats, which offer an exciting tour of Sydney on the coastal strip. Under the bridge are located the historic Rocks of Sydney, where Captain Arthur Phillip had actually founded the colony of New South Wales.